Last weekend, Nikkei Place was transformed into an indoor Japanese Festival. There was food, games, vendors and performances to watch. I went pretty late so most hussle and bussle had died down already. What I really wanted to see was the LEGO creations that the Vancouver LEGO club had set up. 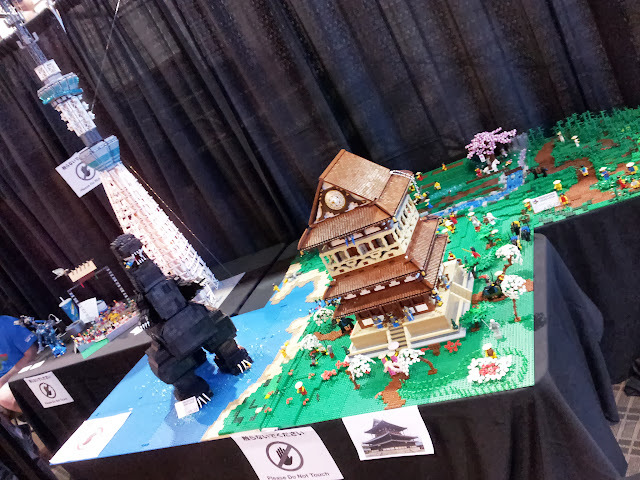 The Vancouver LEGO had created an awesome looking Japanese themed diorama complete with Godzilla! It's amazing how detailed it is.